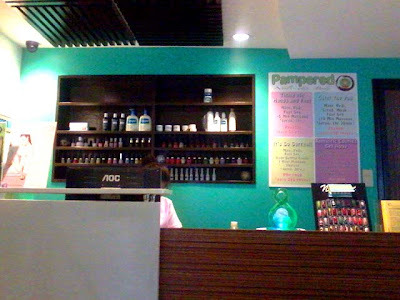 Pampered Nails and Body is located above a bank along Makati Avenue. It opens and closes late, but the area is safe (even with non-existent building guard). There are guards from next door establishments and literally about tens of people walking along Makati Avenue at all hours. Taxis are convenient during late hours, but the area is ultra-traffic during rush hours. Foot service area. 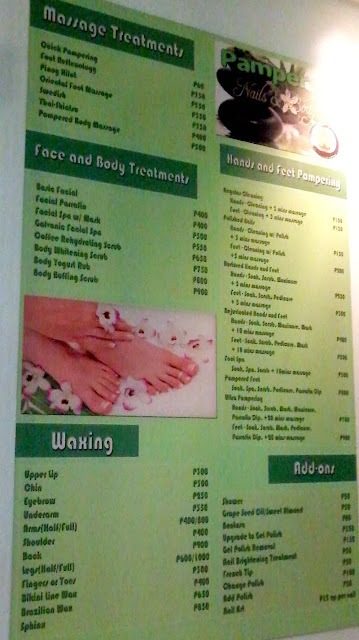 I tried their Foot Massage: Php350 (1-hour). They dimmed the lights and turned the tv on. If you get your service alone, it will be peaceful and quiet. 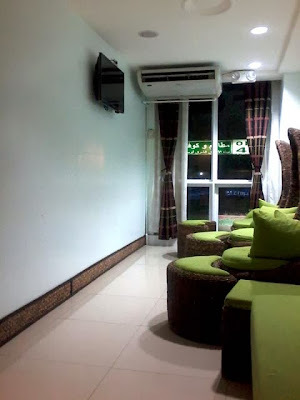 When I came here with a friend, the attendants kept chatting with each other (albeit hush hush), we just decided to tune them out and relax. Reception counter. From the ground floor, it's a long climb upstairs to the spa. There's an ATM at bottom floor. 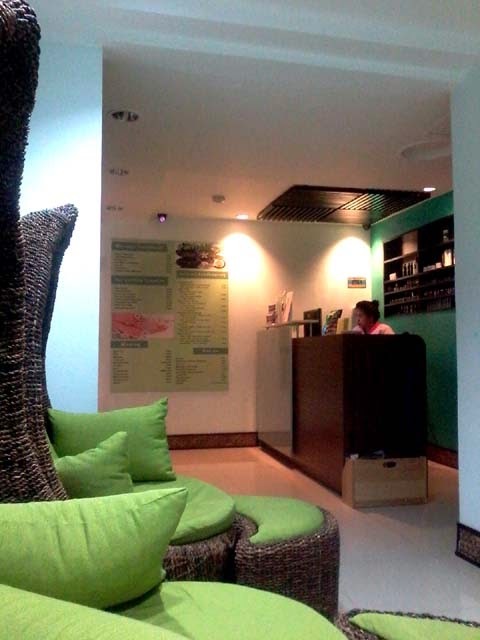 The door next to the counter leads to the private massage stalls. Each bed has its private curtain and light. I opted to try their Add-on service of quick 10-minute back massage and they led me to one of their private beds. 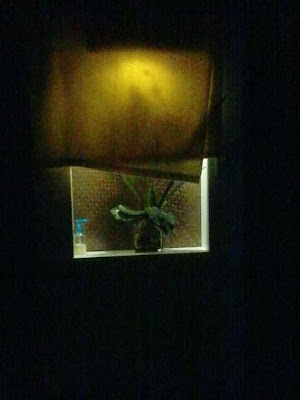 It was dark but has the standard spa-feel. This is the only source of light from my bed. The 10-minute dry massage was nice and thorough and cost and extra Php60.